HERE WAS CUBA tells the inside story of the Cuban Missile Crisis and how, in October 1962, the earth teetered on the very brink of nuclear holocaust and the fate of the planet lay in the hands of three iconic characters – Nikita Khrushchev, Fidel Castro and John F. Kennedy. On October 22nd, 1962, President John F. Kennedy informed the world that the Soviet Union was building secret missile bases on the Island of Cuba, 90 miles off the shores of Florida. 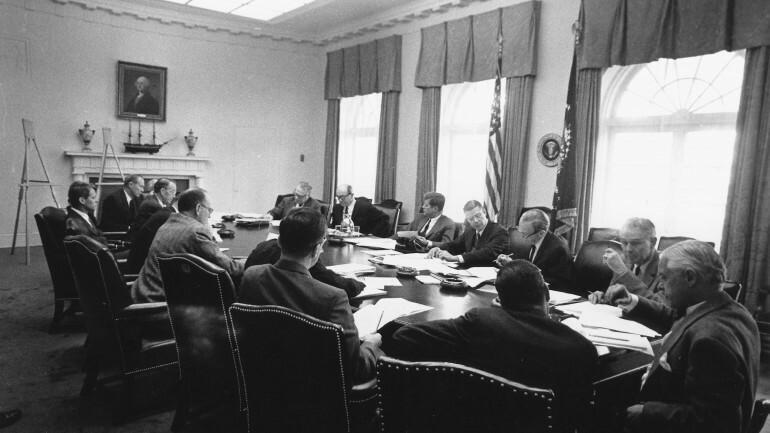 The events of the next thirteen days, known as the Cuban Missile Crisis, brought the world closer to nuclear disaster than it had ever been before or since. HERE WAS CUBA provides a detailed picture of the events of those thirteen days using countless, declassified documents recently released from Soviet, American and Cuban archives, as well as interviews with the remaining survivors and eyewitnesses to those epic events. It also explores the impact a nuclear war would wreak on this fragile planet and considers the threat still posed by this specter. HERE WAS CUBA is an edge-of-your seat tale of espionage and intrigue at the highest level, offering a fascinating perspective on one of the most harrowing times in modern history.